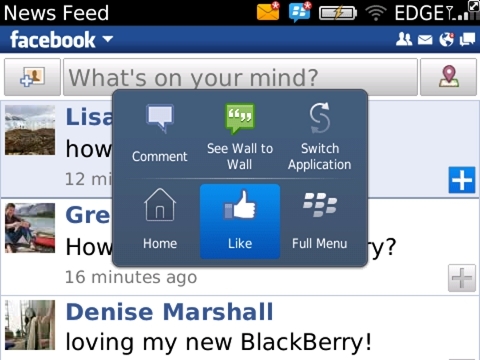 Research In Motion (RIM) has just announced the first beta release for the next major version of Facebook for BlackBerry, which features a redesigned user interface and incorporates a host of new features, including Facebook Chat. The new Facebook Chat feature integrates with both the app and the unified mailbox. As long as your status is set to “online,” friends can send you notifications even if you aren’t using the app. Even better, within Facebook for BlackBerry 2.0, users can still get alerted about new BlackBerry Messenger messages or see when a new e-mail hits the inbox. The team at RIM has also put a lot of work into improving the News Feed and how users can interact with it. Posts can be shared or liked from the feed and users can also publish their own photos and status updates or check into a Facebook Place directly from the News Feed. Perhaps the biggest overhaul is the overall look and feel of the app. The navigation control panel now mimics what you see on iOS and Android. A drop-down navigation bar has now also replaced the static bar in the old app. BlackBerry says this will make it easier to add new features in the future. The Facebook notifications panel has also been redesigned to mimic the Today View in BlackBerry OS 6. This provides a great overview of everything that is happening within the Facebook application. It’s actually the kind of implementation we wouldn’t mind seeing in other mobile versions of Facebook. Overall, the new Facebook for BlackBerry looks great. It’s clearly a major upgrade that helps close the gap between the BlackBerry client and those on other mobile platforms. If you want to check out the new beta, head to the BlackBerry Beta Zone. There are a limited number of spots available, so be sure to check it out. Right now, only BlackBerry 6.0 users can use the beta — however, subsequent betas will support BlackBerry OS 4.6 and higher. 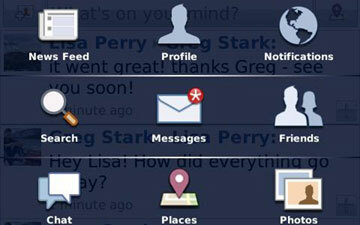 What do you think of the new Facebook for BlackBerry? Let us know in the comments.